Multiple Teams · Jun 9 Lauryn Mick finishes 8th at State! 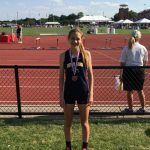 Congratulations to freshman track and field runner Lauryn Mick on her 8th place finish in the 1600M Run at the 2017 OHSAA Track & Field State Championships on Saturday, June 3rd! By making the podium, Lauryn earned All-Ohio honors. Way to go Lauryn! Go Eagles! 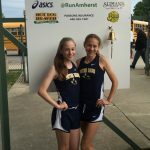 Multiple Teams · Jun 3 Lauryn Mick to compete at Track & Field States on Saturday! 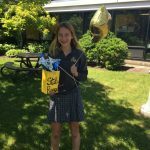 Good luck to freshman member of the NDA track & field team Lauryn Mick as she competes at the OHSAA Track & Field State Championships on Saturday, June 3rd, at The Ohio State University’s Jesse Owens Memorial Stadium in Columbus. Lauryn will run the 1600M Run at 5:15 pm. Good luck Lauryn! Go Eagles! Multiple Teams · May 27 Regional Track & Field Results; Lauryn Mick is State Bound! 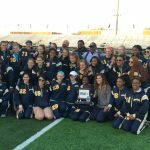 Multiple Teams · May 17 Track & Field Varsity & JV 2017 TRAC Champs!